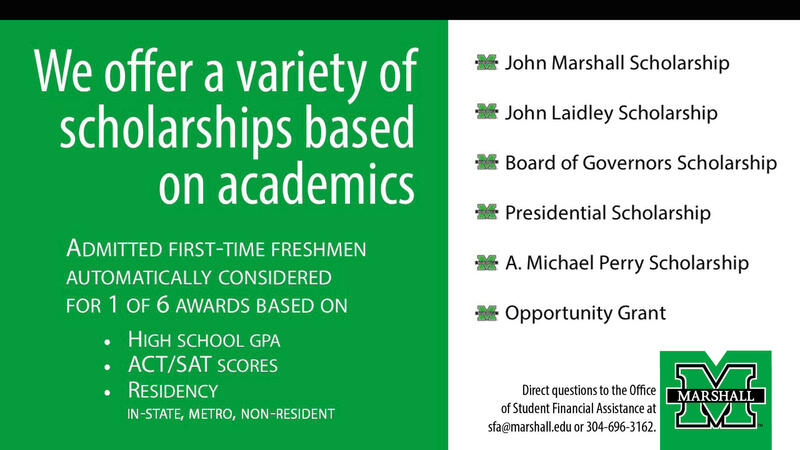 As committed as we are to providing you with the best educational experience possible, we are also dedicated to ensuring that cost is not a barrier to your education at Marshall. 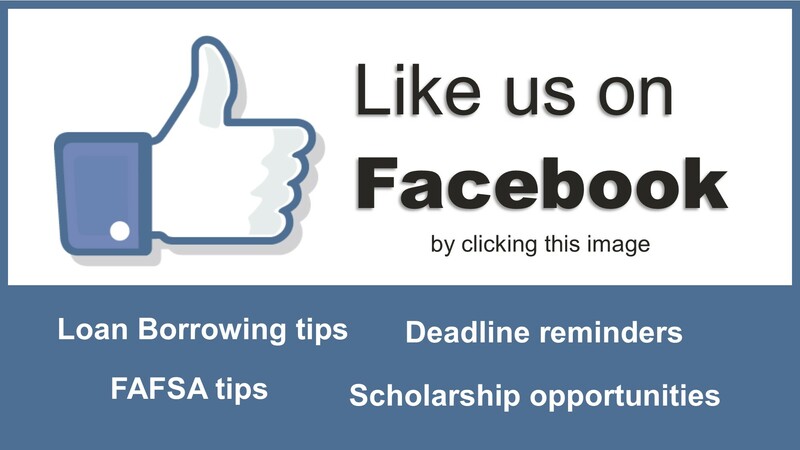 Our primary objective is to assist you in planning for and meeting your educational costs. 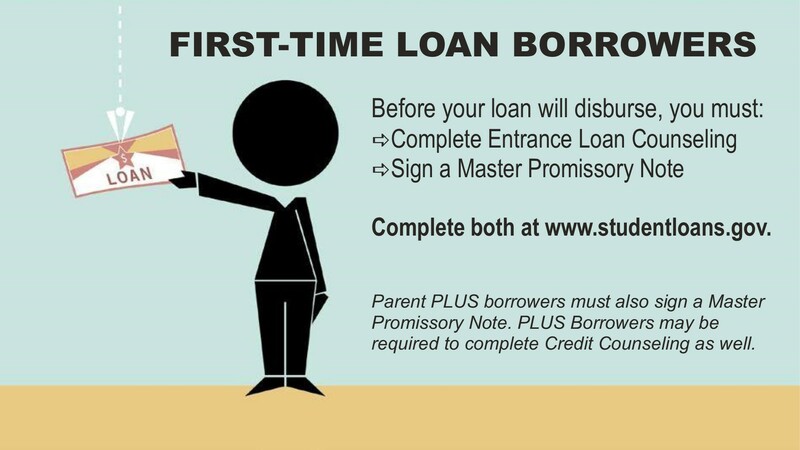 When affordability meets quality, the result is value. 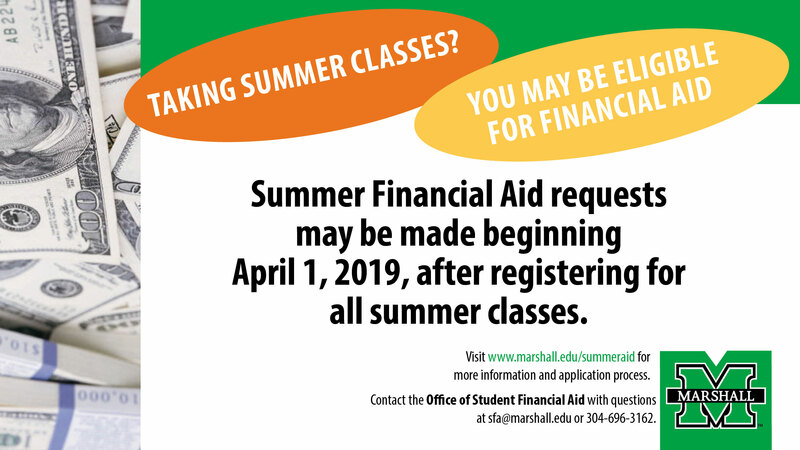 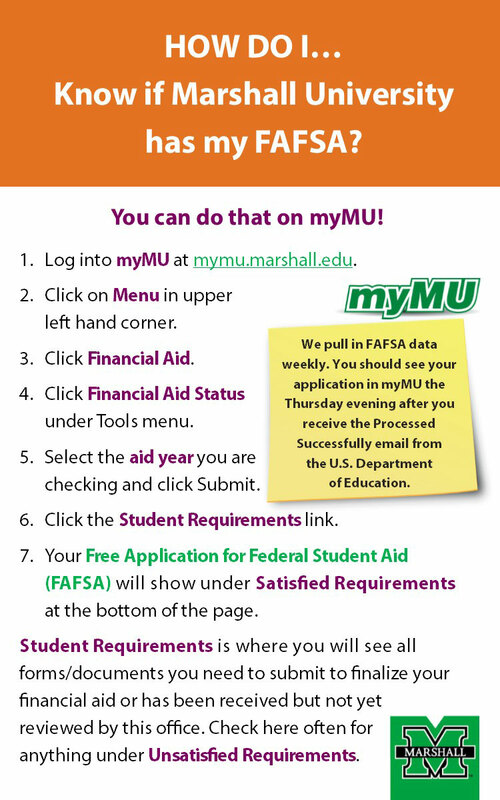 We are happy to provide prospective freshmen and their families the Marshall University Net Price Calculator tool that provides a personalized estimate of the costs and financial aid from federal, state, and institutional sources you may receive by attending Marshall University. 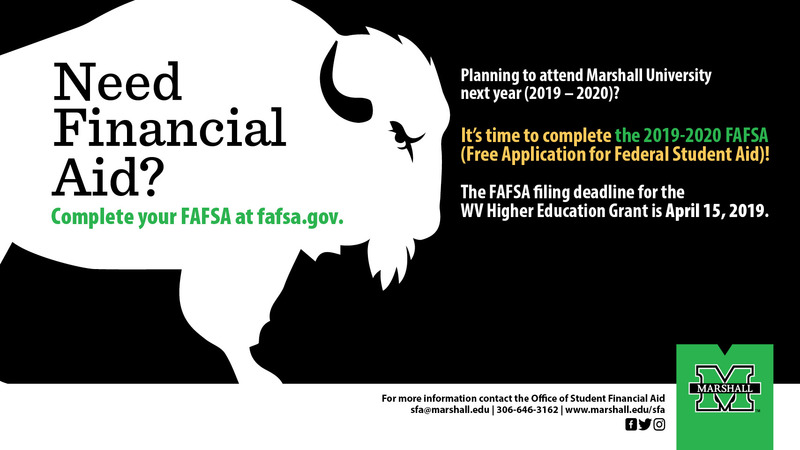 Financial assistance in the form of scholarships, grants, loans, and work-study is available to full- and part-time students who qualify. 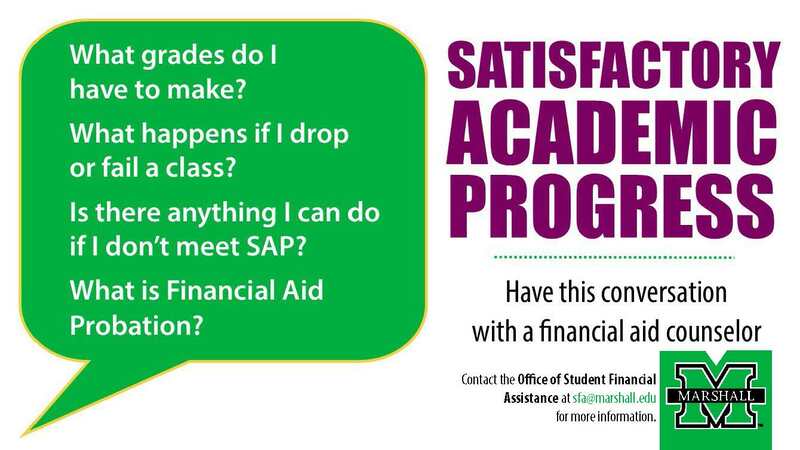 The Office of Student Financial Assistance awards approximately $144 million of financial aid to undergraduate, graduate, and professional students. 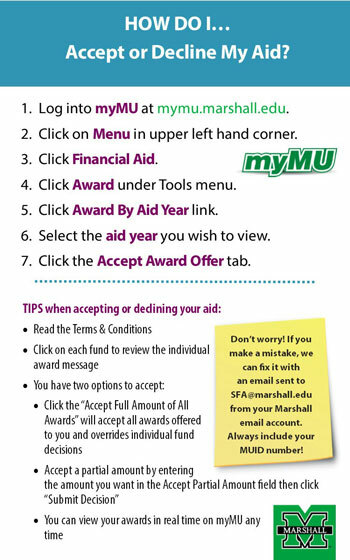 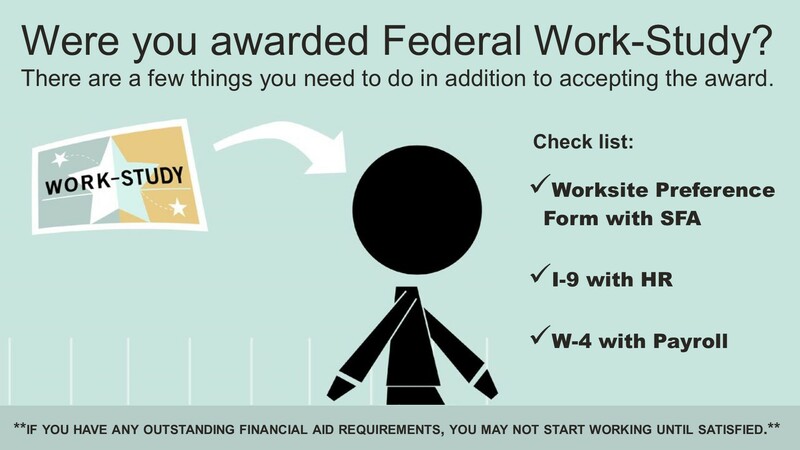 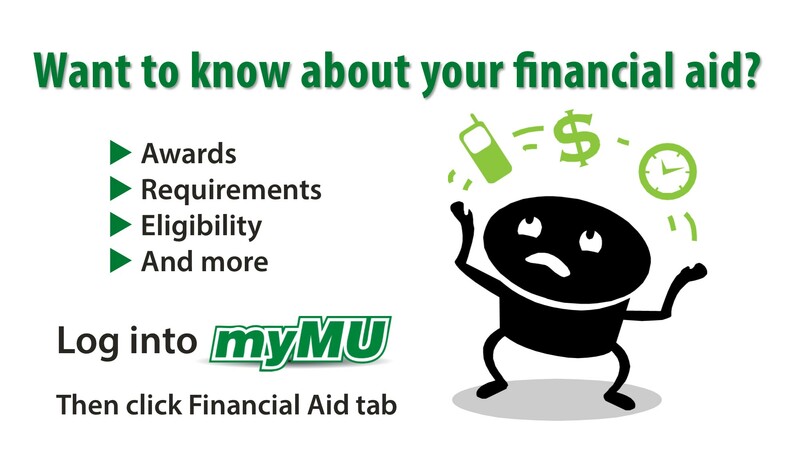 Please browse our information about costs, application procedures, eligibility requirements, types of aid (scholarships, grants, work-study, and student loans), and other requirements pertaining to notification and disbursement of financial aid by clicking on the tabs above. 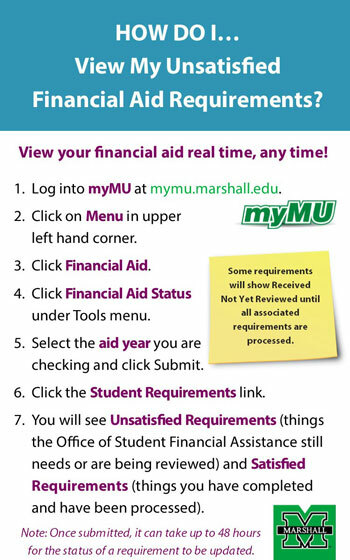 Please be sure to contact us with any questions or concerns you may have.